Convicted 05.07.1916 of failing to close against soldiers. 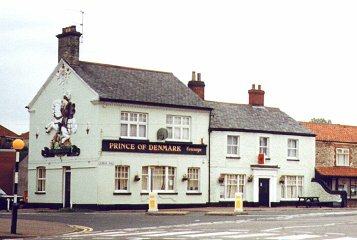 The Prince of Denmark stood near Denmark Farm. In 1782 Magdalen farm was in the tenancy of Robert Denmark, who died 1790, and title passed on to his son, William Denmark, who purchased the 33.5 acre farm in 1802. He died 1817 and the farm passed on to his son, also called William. The farm was then sold to Mary Anne Perowne c1850. For sale by auction Thursday 14th July 1853. 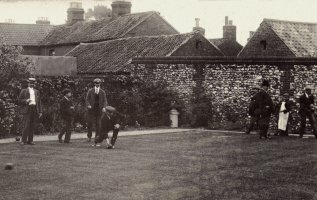 A freehold property with Yards, Garden, Stables, Play Ground, &c., &c.
Samuel Morris applied, on Monday 24th August 1891, for a music and singing licence for the club-room. The licence was granted on the condition that it was only for the benefit of club members attending the club-room. The Chief Constable had commented that the house, being on the city borders, was difficult to supervise, but would not object if the licence conditions were followed. It is reported that Theophilus Rump, a rate collector, occupied the farm house from 1891 and was in some dispute with the then landlord of the Prince of Denmark. The dispute was so fierce that Rump was supposed to be in fear of going out at night in case he was shot. Prince of Denmark given as No 48 Sprowston Road to c1895. Morgans sales for 1960 given as, barrels of beer 464, spirits 64. Entered by Enterprise Inns, on behalf of Unique Pub Properties Ltd., during week of 25th October 2014 - Lease terminated and house closed. Closed again, end of August 2017. Used to be two houses, second cottage (on right) is double fronted built in brick and flint, now all painted, looks Georgian. Used to have three rooms and a corner door. Superb plaster relief (exterior) by a man named Smith. Cottage style lounge bar and second bar in other cottage. Serving bar is in between the two. Dull public house feeling - no odd bits and pieces.